I need everyone to spread some positive love and stop worrying about others. When you're in a relationship, the best way to keep it going is to keep others out of your business. 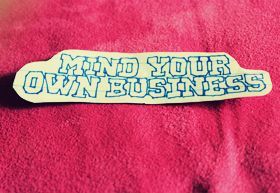 Mind your own business is a very good phrase that gains great significance in today’s life. Some people have the very bad habit of peeping into other people’s matters such as eaves dropping, offering unwarranted comments and taking ill of others in their absence. Such habits bring in a lot of misunderstanding between friends or neighbors. If we develop the habit of minding our own business, these things can be avoided. “The life of others is not an open window for others to peep in”, an unknown quote says, “You tend your garden and I will tend mine. Good fences make good neighbors ‘is very much applicable for all those who want to mind their business. No one has the right to shape or influence other people’s lives. 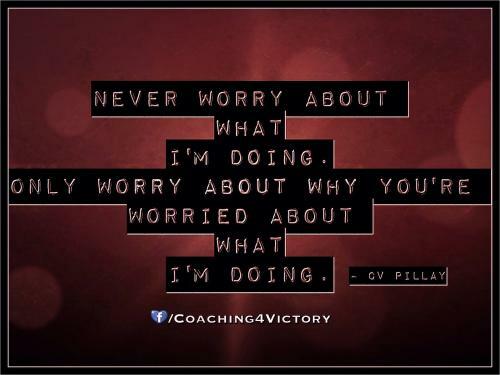 So, it is better to leave it to the concerned person. Since this is a chain reaction, influencing others lives will one day influence his or her life too. 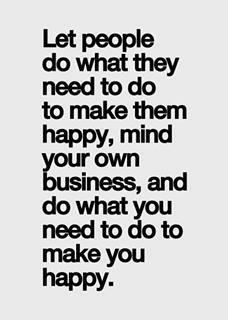 Therefore, minding your own business is the best way to live a hassle free and peaceful life. Live and let live.